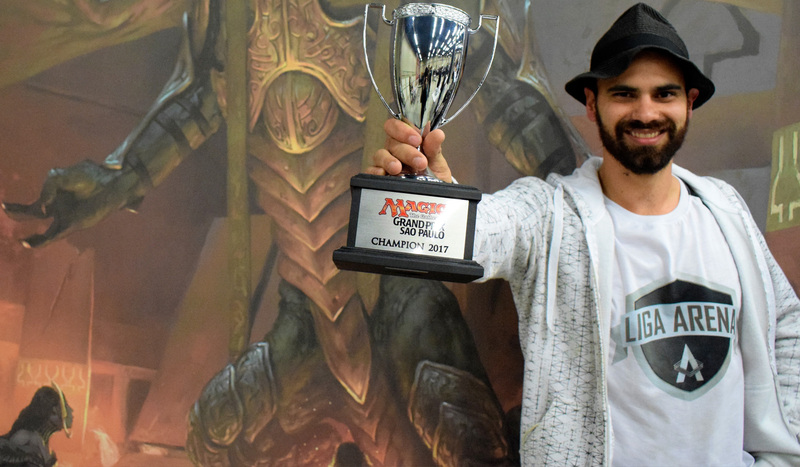 Hello and welcome back to the State of Modern, our monthly rendez-vous with all things Modern, including big tournament reports, the decklists and prices for the archetypes that are currently the most successful in the meta, and an up-to-date ban list. 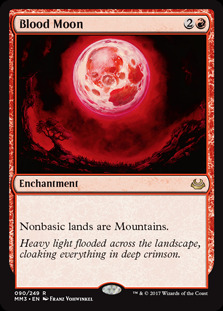 If you never tried your hand at Modern, this is the right place to know everything you need to know in order to begin; and if you're already into it, it can still be a good way to make sure you know everything that's happening in the format. 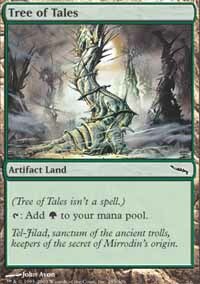 And by the way, if you seek a nice free online tournament, I run Modern Times every Thursday at 7:00 PM UTC. 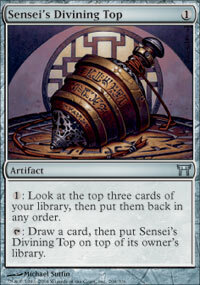 The series archive is here. 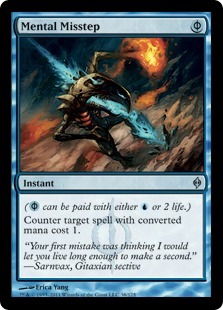 Let's start a new ride! 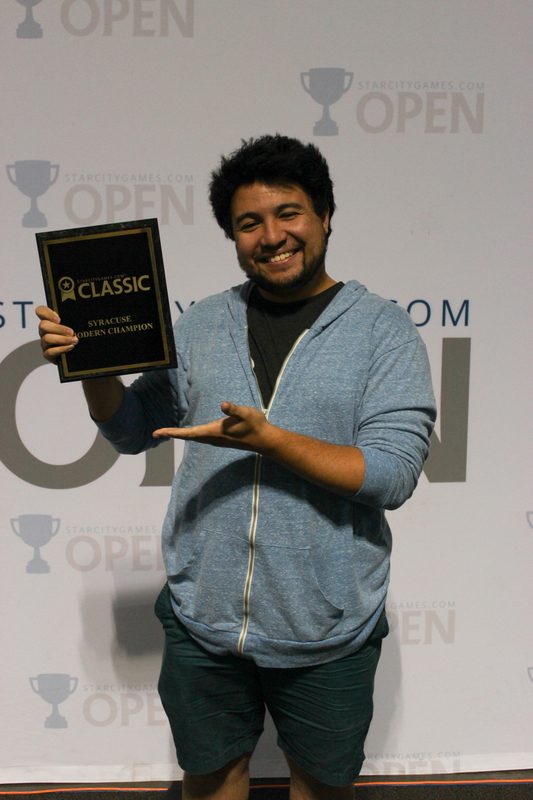 Here's the last 5 Modern events with more than 200 players, ordered chronologically. 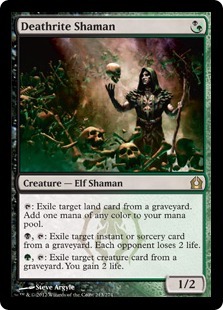 Already covered: Death's Shadow, Eldrazi Aggro, Affinity, Hatebears, EldraTron. 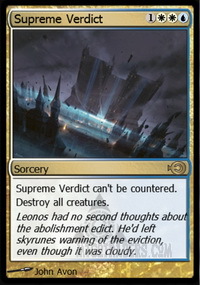 Update: Death's Shadow remains at the top of the meta with 5 appearances among this month's Top 8 decks from major events. 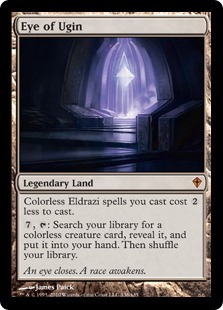 Eldratron (4 appearances, including the top two places at SCG Syracuse) and Affinity (3 appearances) are still going strong, while both Hatebears and Eldrazi Aggro seem to have disappeared from the top placements. 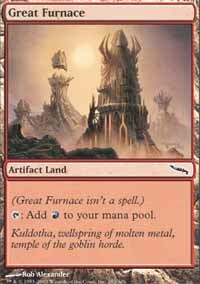 Here's some more top decks in the current meta, which is pretty diverse. 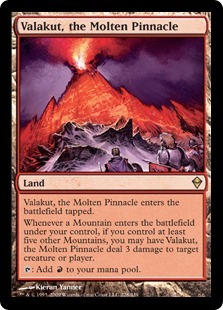 How does it work: Valakut is one of the oldest combo decks in the format, relevant in the meta since when Valakut, the Molten Pinnacle was unbanned in September 2012, after spending the first year of the format's existence in the original banlist. 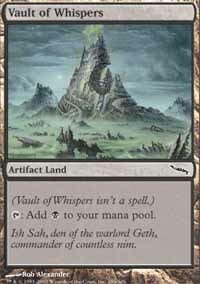 The combo came to be the very minute Valakut was printed back in Zendikar, given that the other key card, Scapeshift , was already around, and the fact that Valakut itself wasn't legendary (as wrong as that still feels) didn't escape notice. 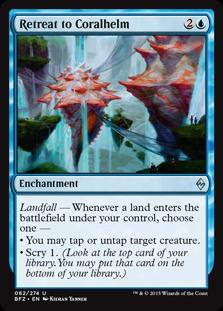 Once you hit your 8th land on the battlefield, Scapeshift becomes a 1-card endgame combo, as fetching 2 Valakuts and 6 Mountains ensures a grand total of 36 damage, due to the way triggered abilities and stated conditions work. 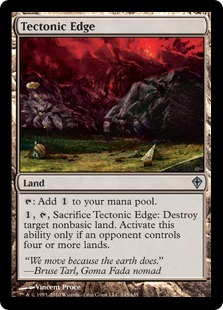 The deck has been historically just a matter of fetching lands in order to ramp up to 8, then draw into Scapeshift for the win before the opponent was able to finish us. 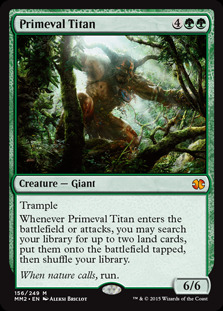 A greater focus on creatures like Primeval Titan , which earned this variant the alternative name of TitanShift, gives the list a bit more of interactivity, a solid plan B under Blood Moon , and a better curve progression. 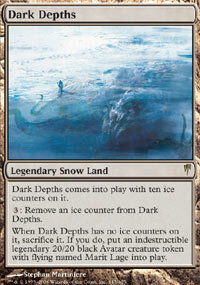 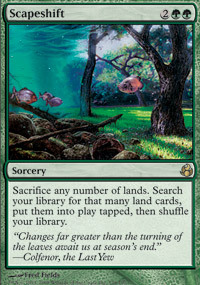 And scoring some early creature damage means a 7-land Scapeshift for 18 damage becomes viable. 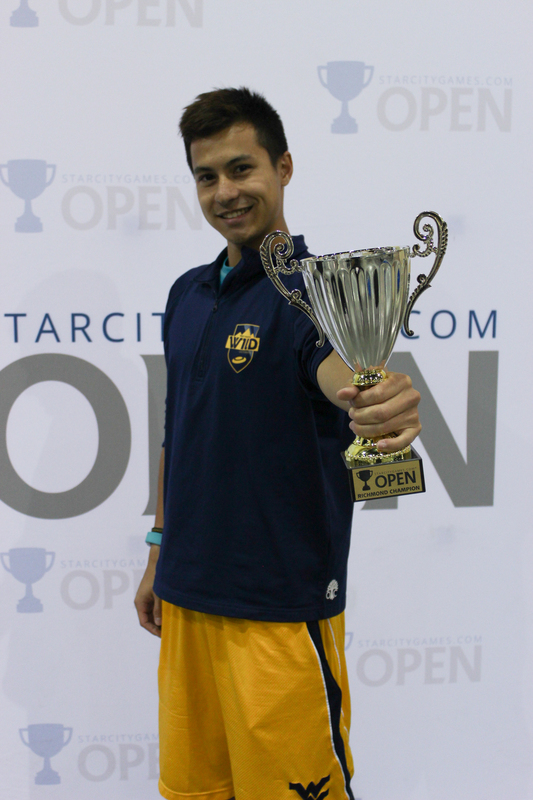 Results: Five years later, Valakut is alive and well, making for a strong presence in the meta with important placements in most major events. 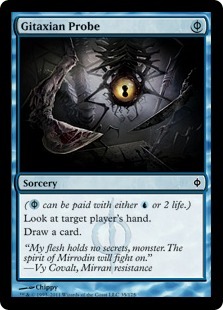 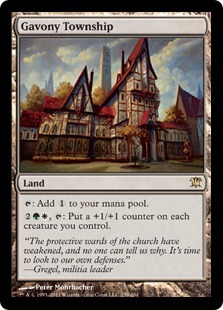 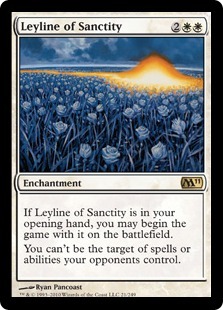 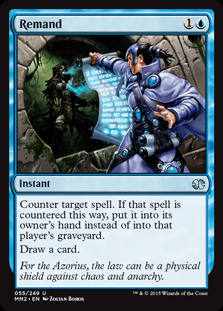 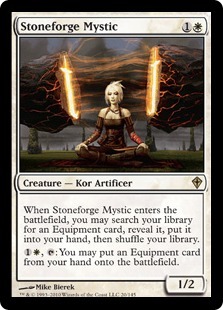 How does it work: The most popular control archetype in the format (if not in the game as a whole, give or take MBC) identifies a family of control lists that exploit the inherent control attitudes of white and blue, the former being most adept at killing and hosing things on the battlefield, the latter at stopping things from happening and then replenishing your hand, a key factor in successful control strategies. 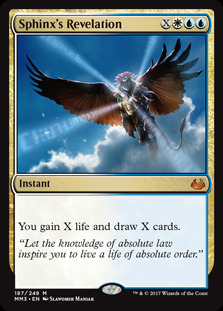 The deck has found new life since the printing of Snapcaster Mage , which provides both surgical card advantage and some legs. 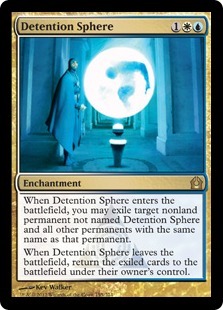 It also benefits from all the great control-oriented cards that already come prepackaged within this color combination, like Supreme Verdict , Detention Sphere and Sphinx's Revelation , all of which have become staples of the archetype. 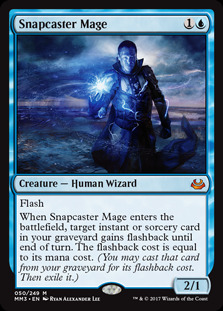 Some variants use up to a full set of Snapcaster Mages and at least one Torrential Gearhulk as a Snapcaster with more punch. 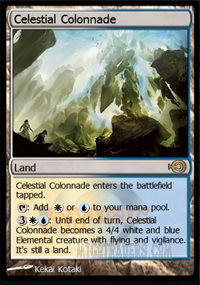 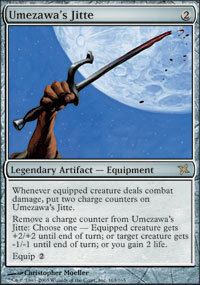 Games are usually won via creatures that survive sweeping, like Celestial Colonnade or any Gideon. 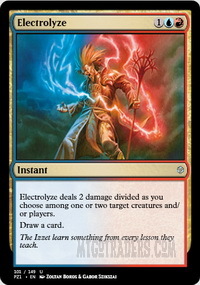 A red splash is not uncommon (for instance, in the list piloted by Benjamin Nikolich to Top 4 in SCG Modern Open Richmond), allowing for powerful cards like Electrolyze , Lightning Helix and Ajani Vengeant . 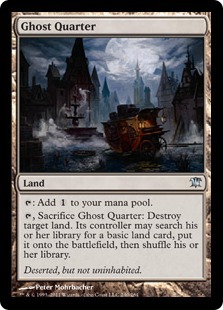 Land hate relies on Ghost Quarter , Tectonic Edge , and most notably the self-replacing Spreading Seas . 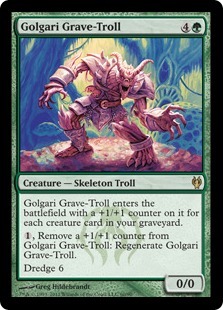 Results: It's not the most attention-grabbing or revolutionary deck in the meta, but it's very solid, showing up constantly and doing well enough thanks to its versatility. 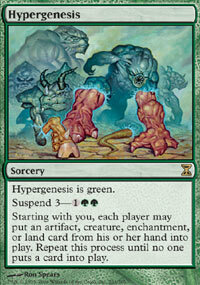 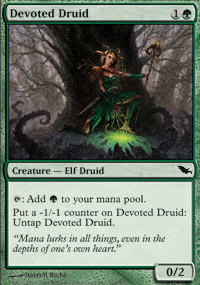 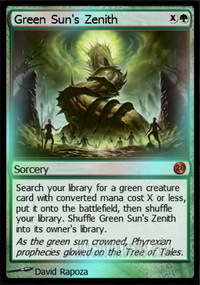 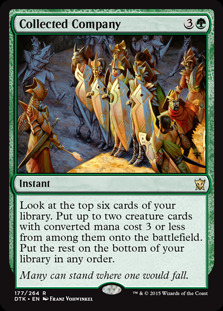 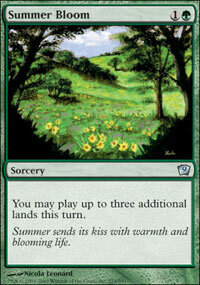 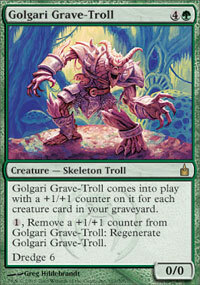 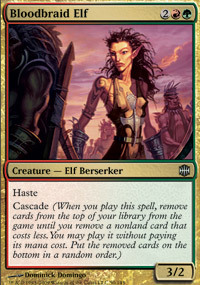 Colors: Anything green-based, more commonly Abzan (WBG). 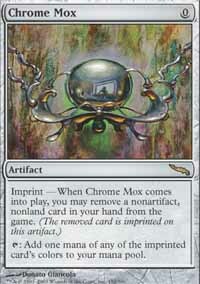 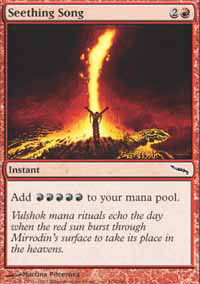 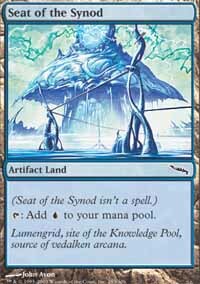 How does it work: Remember the Birthing Pod decks? 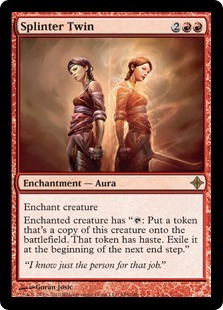 I remember them well, as I used to devote long articles to them, until the Pod was banned in January 2015 (I still harbor hope that one day they'll realize the Pod is actually a card that invites creativity, the problems only came from too efficient endgames like Melira and Kiki-Jiki). 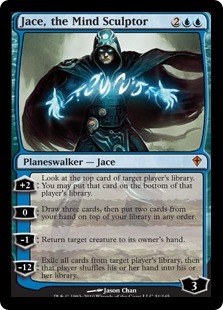 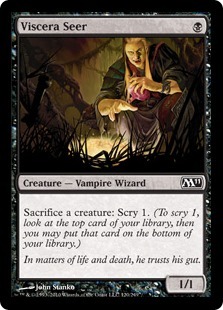 In that linked article, I theorized, among other things, that Chord of Calling alone would provide enough access to the library even without the Pod; what Chord of Calling lacked in order to become its own archetype was just redundancy: after all, you can only play four copies of it. 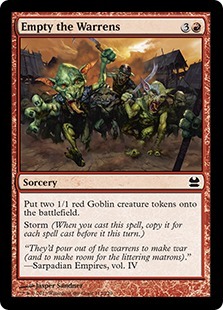 Enter Collected Company , a more blunt, more Spike-ish instrument that however allowed for a new generation of Creatures Toolbox decks (as the archetype is sometimes called) to fill the niche left vacant by the Pod's departure. 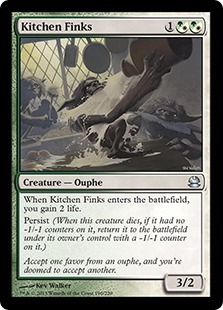 The list has many elements in common with the old Pod lists, like the same green base, the early accelerators, the requisite set of Kitchen Finks , and Gavony Township as plan B. 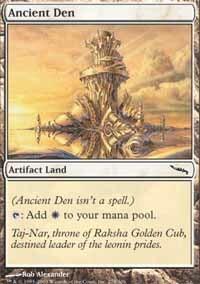 The battleplan is entirely new and current, though, centered around Amonkhet's Vizier of Remedies, which leads to infinite life via Kitchen Finks recursion by Viscera Seer , the same way old Melira would, and infinite mana with another old combo-prone guy, Devoted Druid , with all that mana then turned into damage by Walking Ballista. 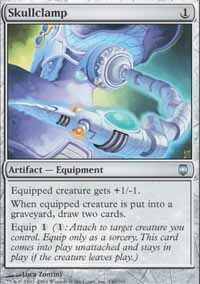 It's a lot of moving parts, but assembling the two combos is easy enough, and the quantity of fetchable silver bullets in the sideboard is on par with what the Pod used to do. 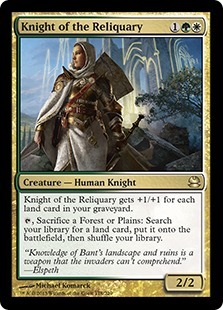 And of course the shell is easily customizable, and allows for radically different approaches, like the Bant list with which João Lélis won Grand Prix São Paulo, trading the Chord and all Vizier shenanigans with the sheer efficiency of Retreat to Coralhelm , a sleeper hit that's becoming increasingly popular as of late, and here specifically makes for a truly gigantic Knight of the Reliquary (and when was the last time you saw that one as the centerpiece of a deck?). 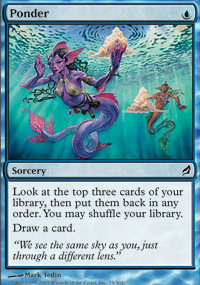 The blue splash also allows for what's currently the best answer-on-legs in the format: Spell Queller. 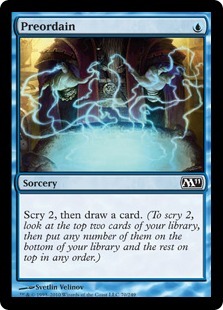 Results: It's up and coming, but it's getting there. 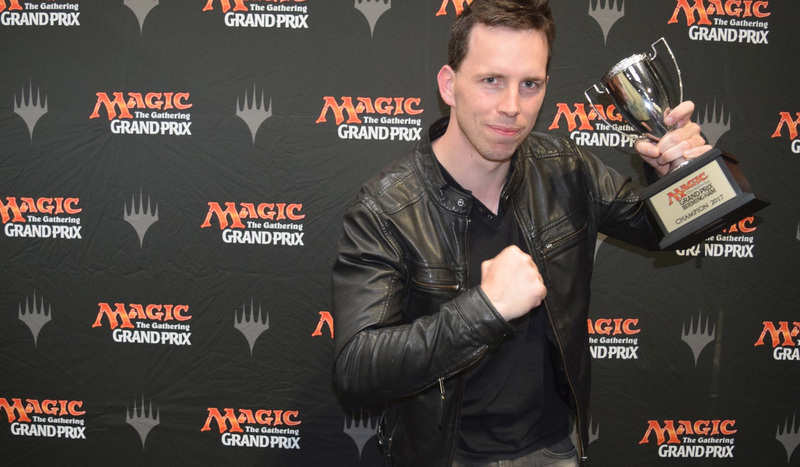 A Grand Prix win is nothing to sneeze at. 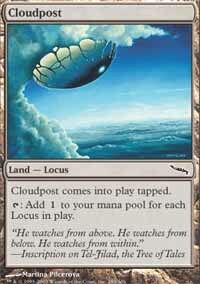 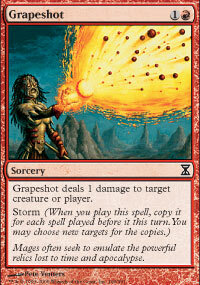 How does it work: I feel like Storm is the archetype that constantly gets hosed, but never really goes away. 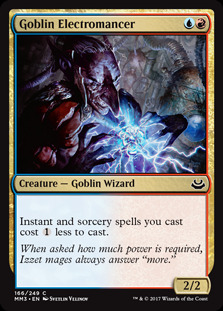 This year, it received a big boost with Baral, Chief of Compliance being an even better Goblin Electromancer that causes Remand to dig even deeper. 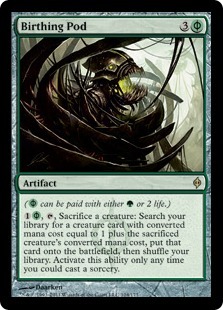 The sheer quantity of accelerators now also makes Gifts Ungiven viable. 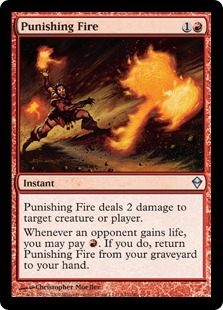 The rest is as per usual, a lot of card-drawing, a lot of cantripping, all culminating in a Past in Flames to do it all once again, then Grapeshot for the win (or Empty the Warrens to circumvent Leyline of Sanctity ). 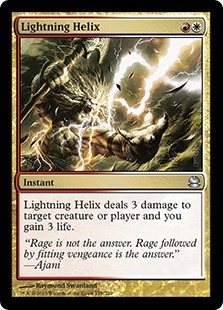 Results: It's probably the most annoying deck in the format to play against, which sometimes means just watching your opponent play by themselves for ten minutes, but that doesn't stop it from showing up often enough and occasionally winning big. 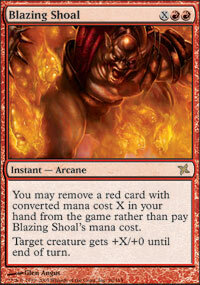 How does it work: Well, it's Burn, it just smashes the opponent's face with direct damage. 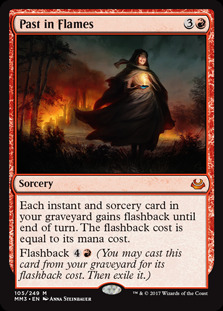 It's the easiest deck to play, the cheapest to build, and it's becoming more and more efficient the more burn spells get printed. 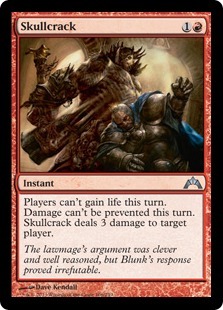 It's a close relative of RDW, but it's even more delightfully brainless. 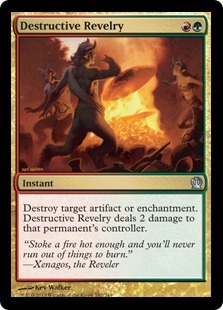 Results: Never underestimate Burn. 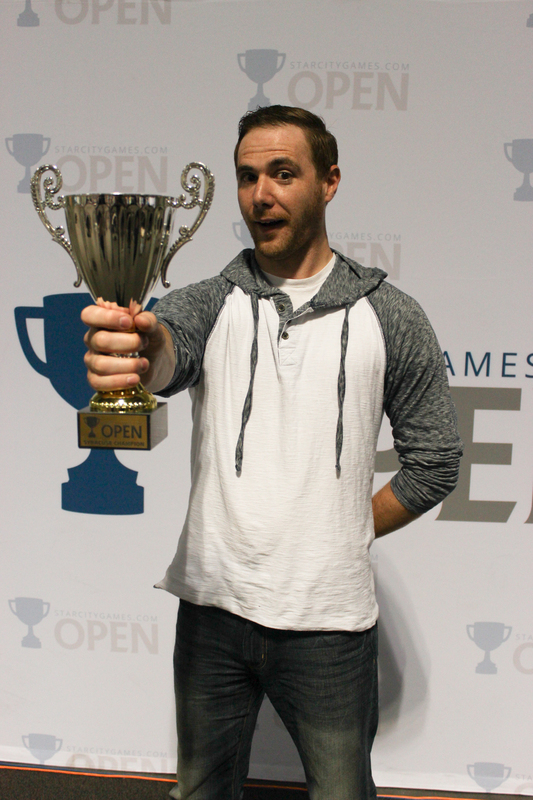 It's omnipresent, it's surprisingly beloved, and it gets stuff done, as all Grand Prix Birmingham finalists can attest. 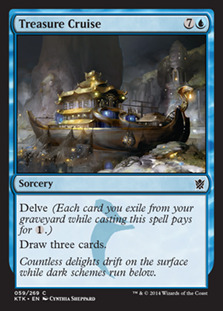 See you next month, when we'll take a look at even more decks from the current Modern meta, like Junk, Lantern Control, and whatnot. 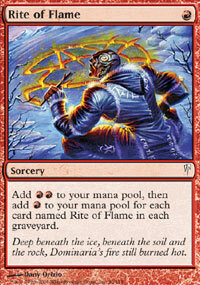 In the meantime, don't be ancient, play Modern!